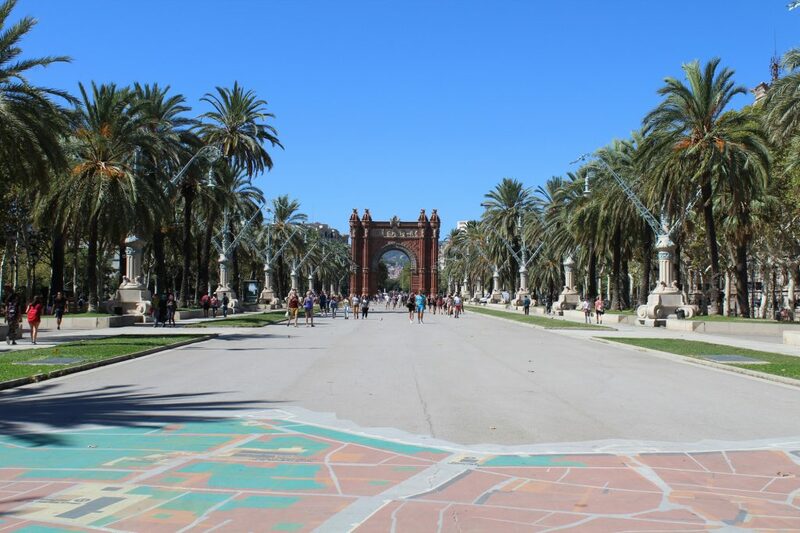 Barcelona was the greatest surprise I had during my holidays in Europe. I’ll be honest with you, I didn’t have huge expectations and Barcelona was never on my bucket list of cities to visit one day. However, Hubby is a crazy soccer fan and this was a must place to go for him. So, why not? To my surprise, I simply loved the city. 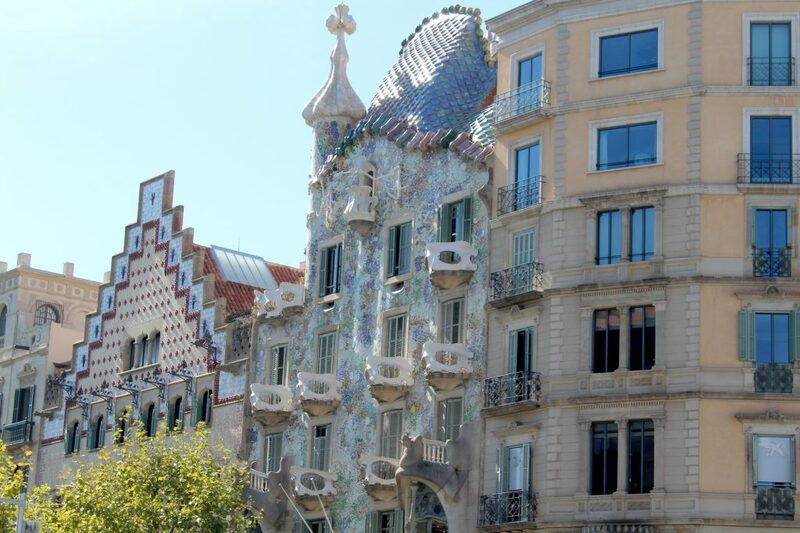 Barcelona is modern and charming, super busy and extremely cosmopolitan. 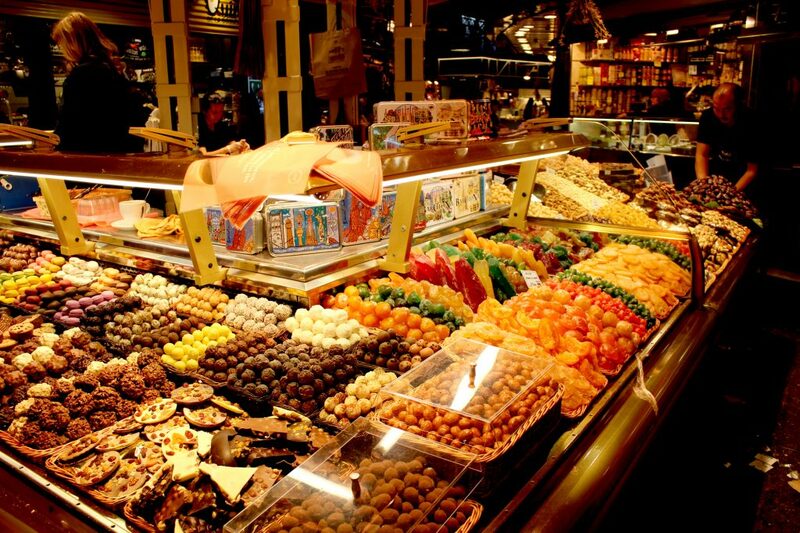 For me, the high point was all the cuisine varieties you could find, from every single place in the world. They are also in the healthy food trend, so I mean can’t complain at all. But this is not all, the city is beautiful, their architecture is unbelievable, I was always walking looking to the buildings and all that mix between old, fashion, and modern architecture. I had 4 amazing days there, which I’ll be happily sharing with you now. In case you’re a foodie like me, this is THE place to be. Stroll along a good number of stalls featuring local products and produce. 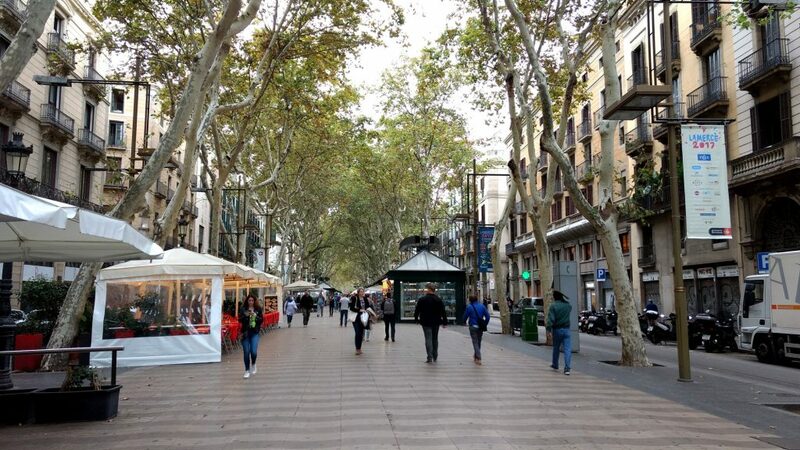 I highly recommend you taking a tour with the guys from Free Walking Tours Barcelona. 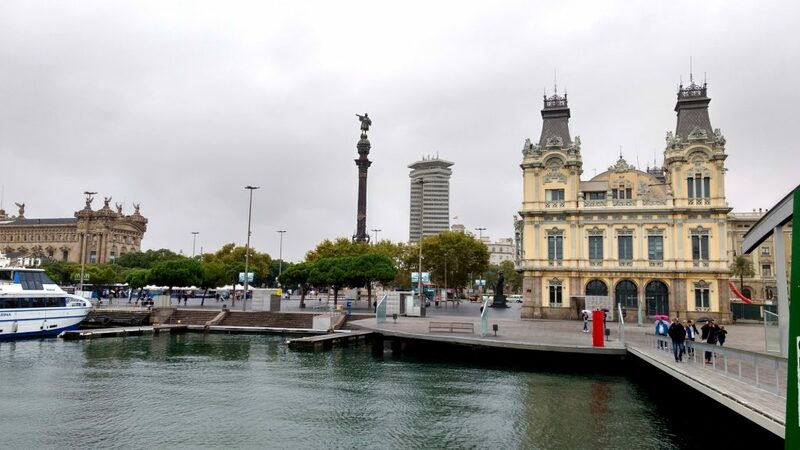 They are super welcome, and their tour covers a lot of the main touristic points in the city with the plus of having valuable historical information together. 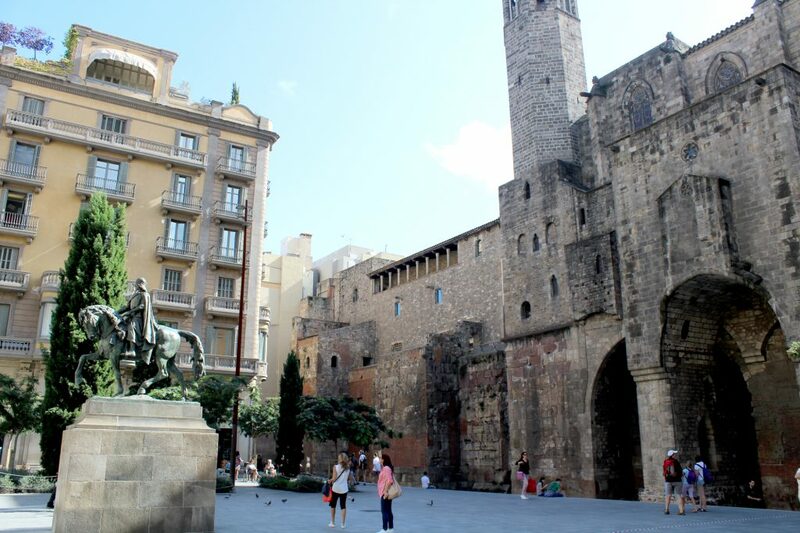 The tour takes around 2.5 hours and walks you through Las Ramblas, Plaça De Catalunya, Santa Maria Del Pi, The Gothic Quarter, Plaça De Sant Felip Neri, The Jewish Quarter, The Cathedral, Roman Ruins, Plaça Del Reí, Picasso Murals, and The Spanish Inquisition. 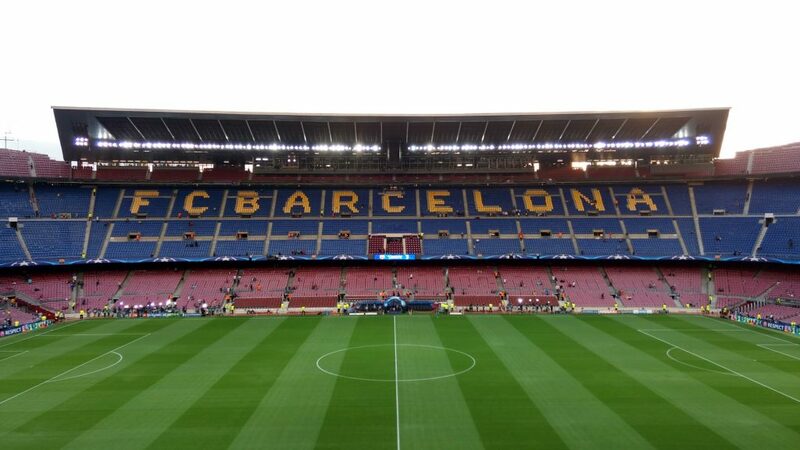 A must for soccer fans, we were very lucky to be their during the Champions League season, and we could watch live a game from Barcelona vs Juventus. In case you go during offseason, visit at least the stadium museum. 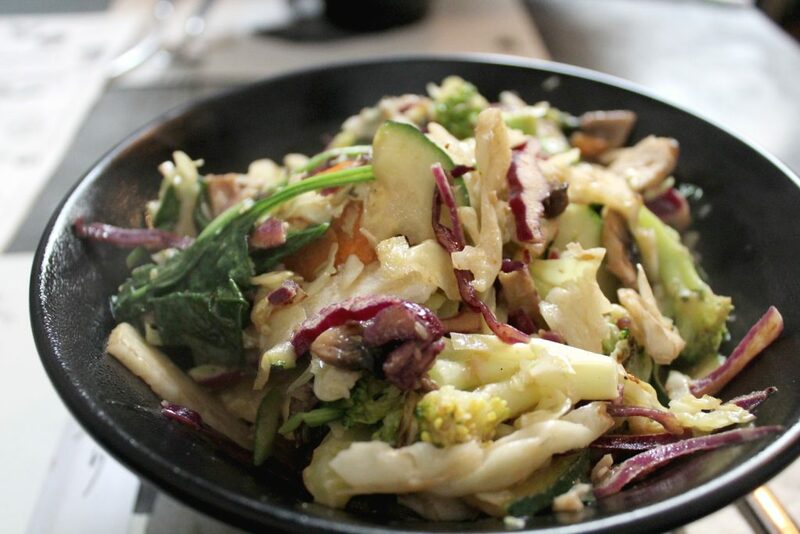 Very yummy healthy food options. Great Lebanese food in the middle of Barcelona. 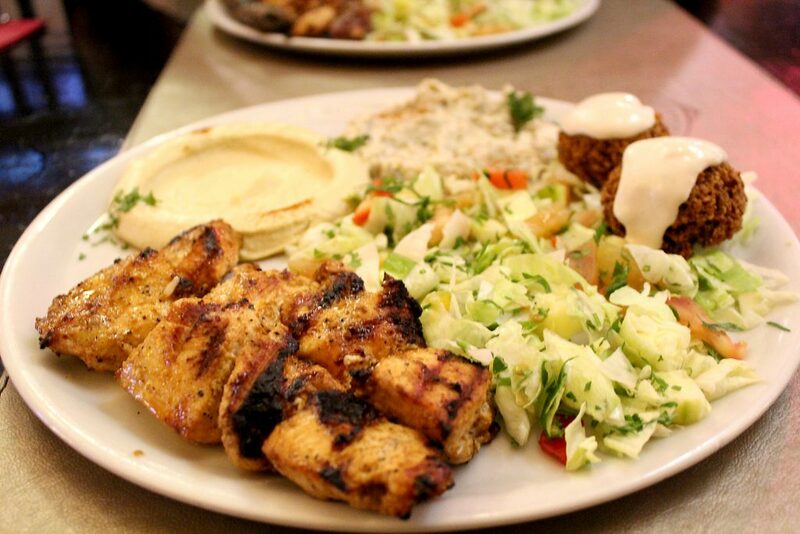 Combinat Shish Taouk – Chicken skewers with hummus, mutabal, fattoush, and falaffel. 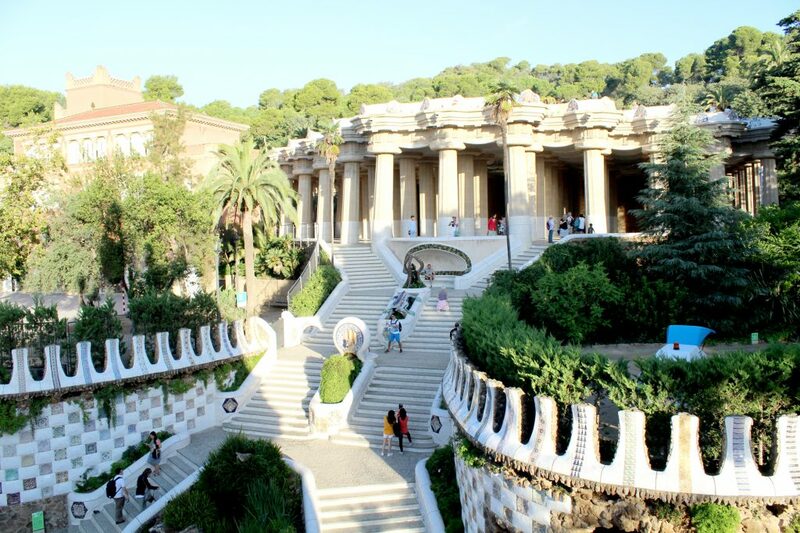 This amazing park was designed by the famous Spanish architect Antoni Gaudí and it’s a must while in Barcelona. 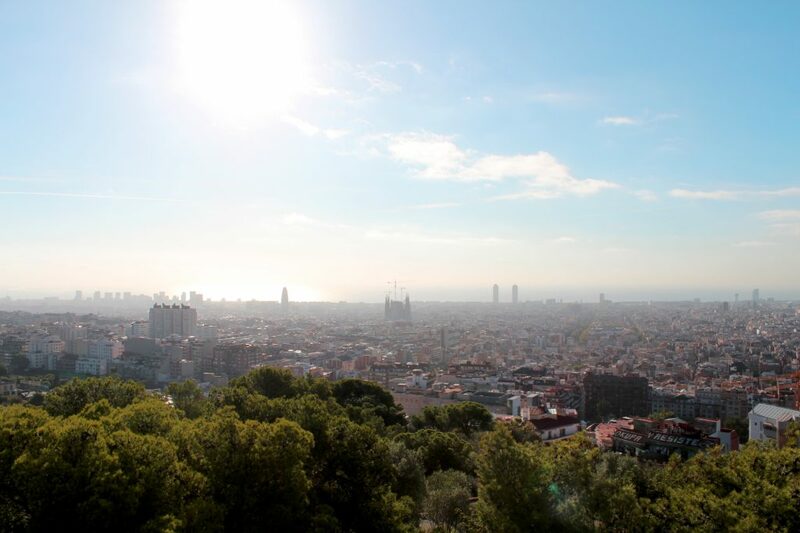 Tip: after finishing the bottom area, keep walking to the higher level exit/entrance to have outstanding views from Barcelona. 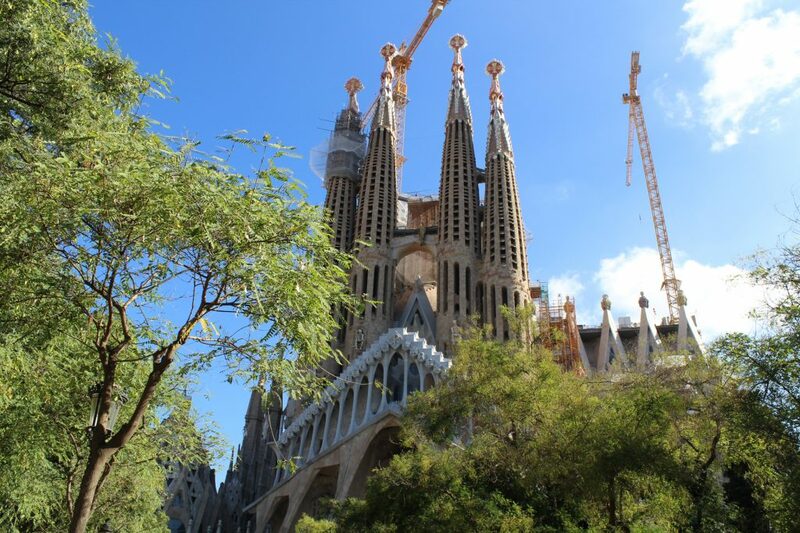 Can you spot La Sagrada Familia? 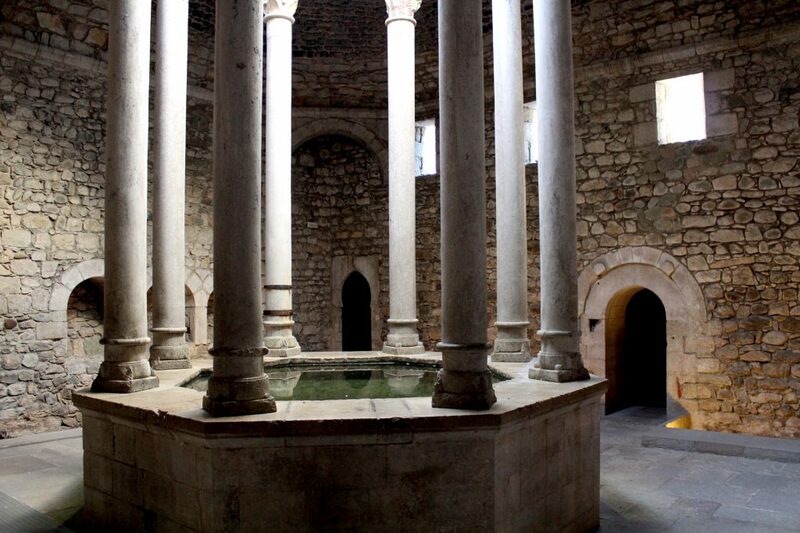 Another must while in Barcelona, surrounds are also great to explore. Another Anoni Gaudí work that’s worth a stop. 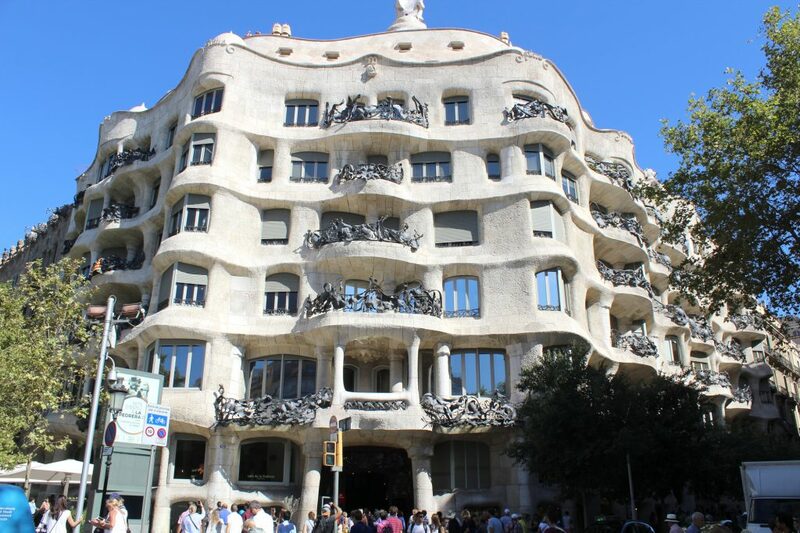 Same here, Antoni Gaudí definitely has a great way of seeing architecture. Yum market, for those that like to know where the locals eat and shop. Super pleasant park that deserves a visit. Take your time there to walk around, get some rest and why not a picnic lunch under the sun? An interesting option in the middle of the city, and perfect if you never tried Peruvian food before. 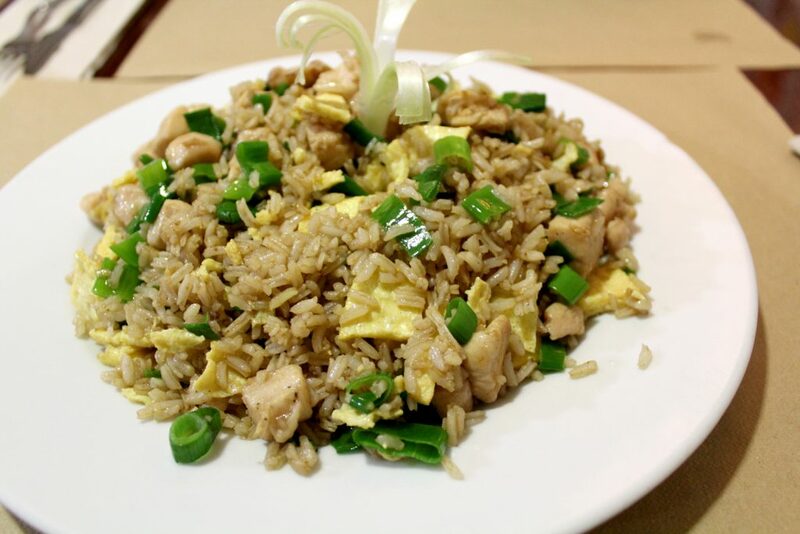 Arroz Chaufa – Rice mixed with chicken, eggs, and peruvian-chinese spices. THE BEST PAELLA EVER. No need for extra words here. 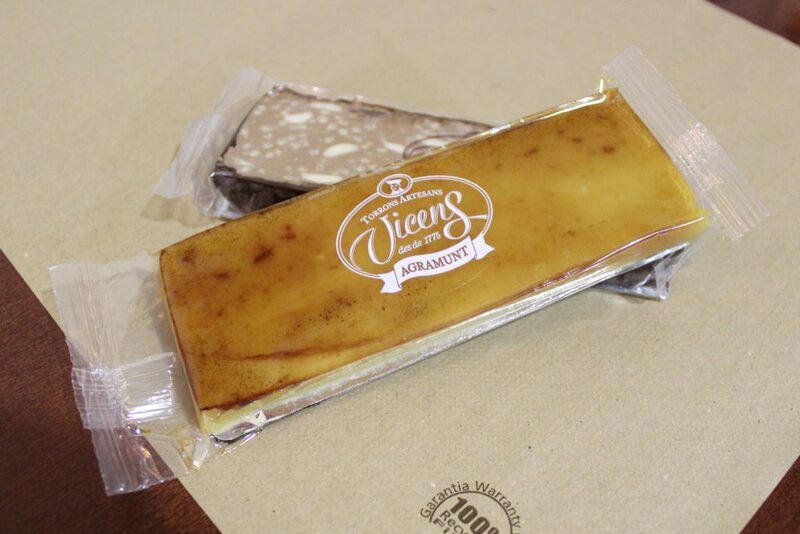 Torrons are very traditional in Spain, you can find this brand almost everywhere, but super close to La Sagrada Familia there is a huge store full of different flavors and samples to try. 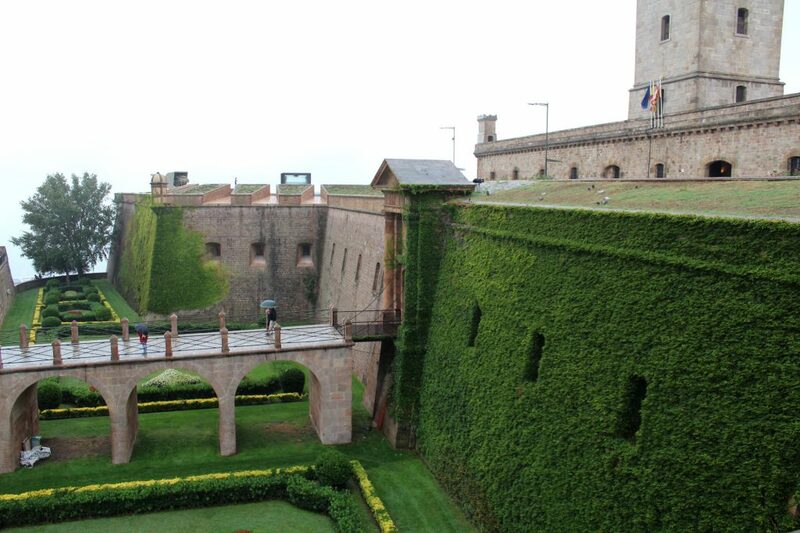 This is not only a charming Medieval Spanish city but also THE place where Game of Thrones season 6 was filmed and it is just 1 hour away from Barcelona. Perfect for a day trip. Great tapas and drinks, perfect for a quick lunch. 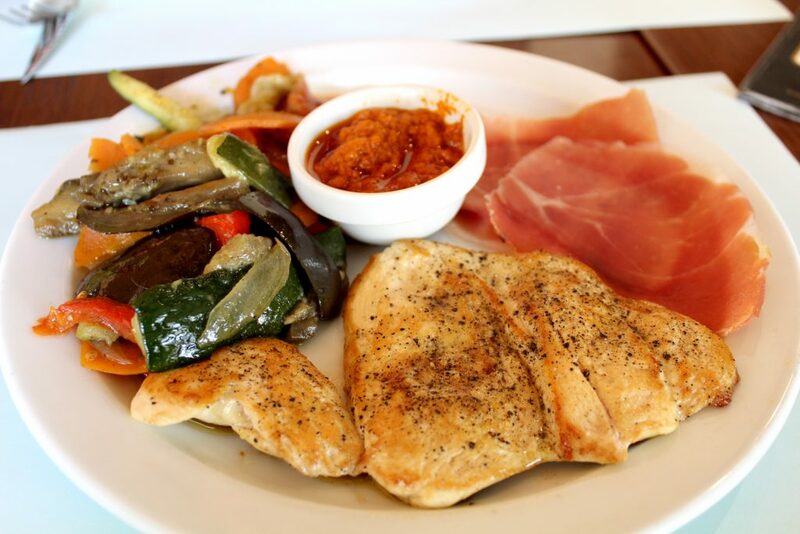 Saute vegetables, chicken breast, and serrano ham. 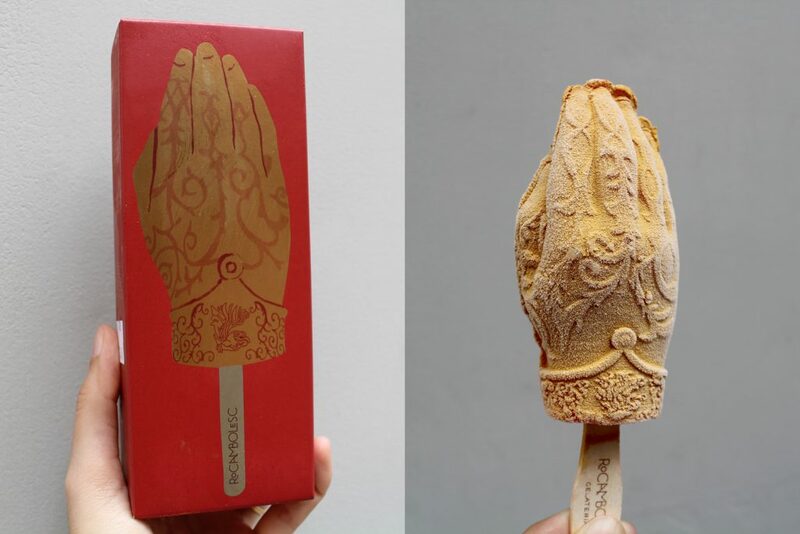 Delicious gelato and perfect for Game Of Thrones fans visiting the city. Hand – Blood Orange and Mango sorbet. This is a very busy and long street that ends by the beach. Great walk, full of restaurants and shops around. Also very good for souvenirs. Great ocean view area, just spend some time walking along the coast and visiting some shops around. 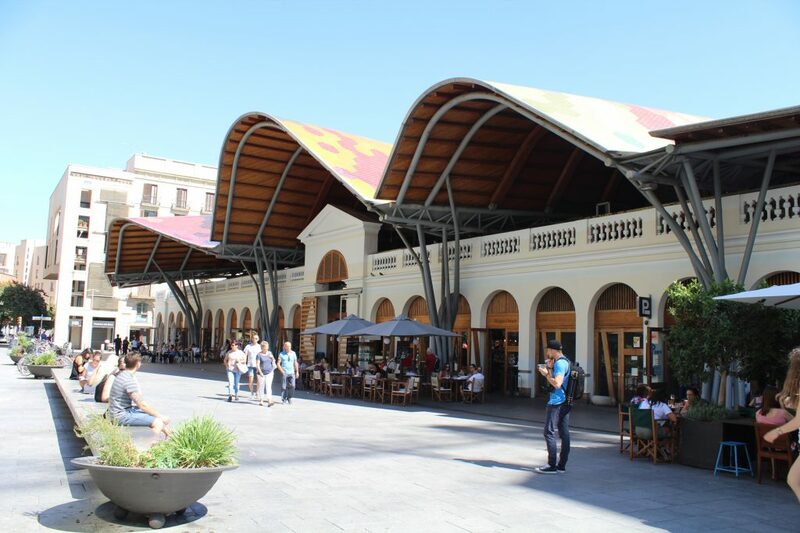 There is also a good shopping centre in case you need to recharge your consumerist side while on holidays. 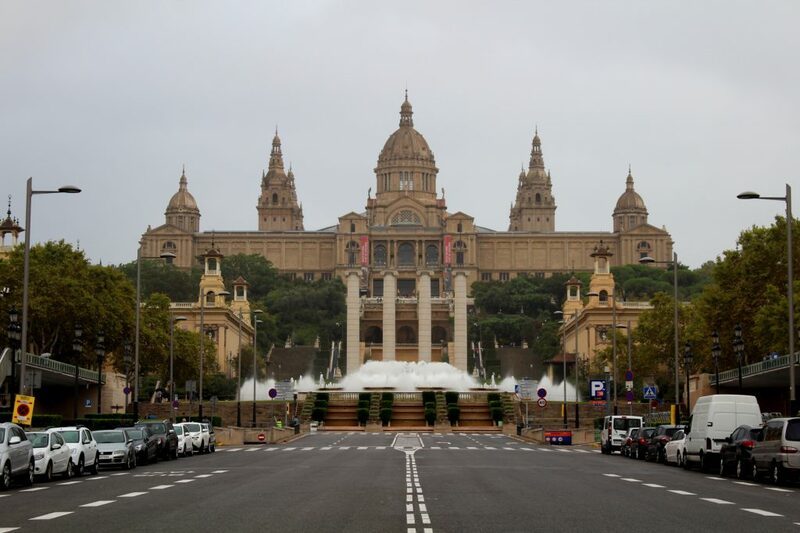 This beautiful site gives you a set of touristic things to do, such as the MNAC Museum (the building in the photo below), the Font Magica de Montjuïc (with beautiful light presentations at night), a huge park to explore and the Olimpic Park. So make sure to plan your visit right before getting there. Walking from the Font Magica de Montjuïc through the Montjuïc park, we got to the Montjuïc Castle, which gives you really good views from Barcelona. 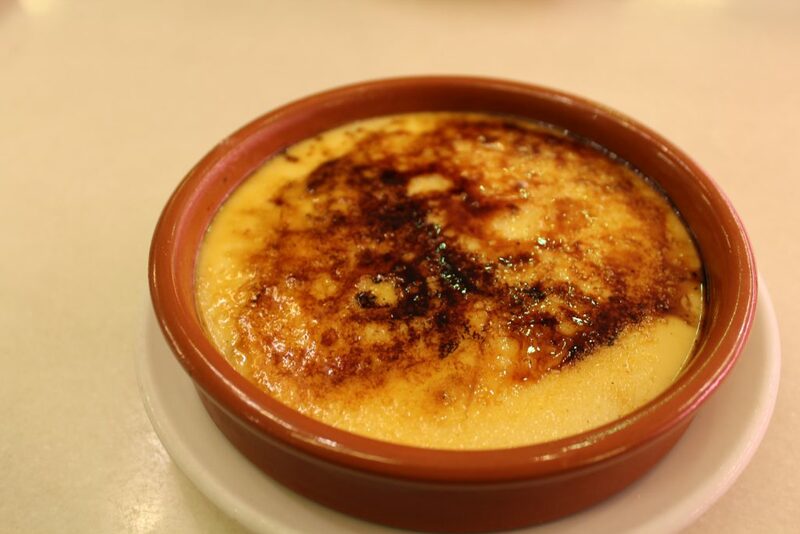 Good mix of modern Spanish cuisine and healthy food. 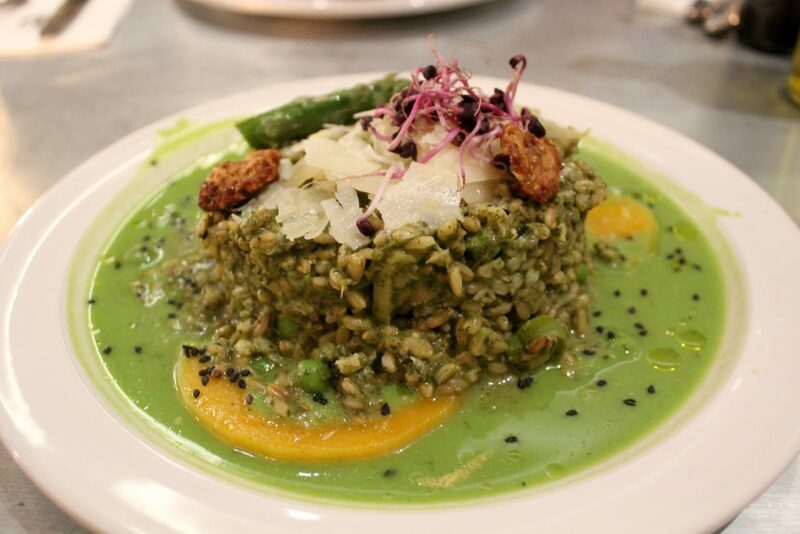 Verde que te quero verde risotto – Oat’s risotto with spinach, green asparagus, zucchini, roquefort cheese, and grated lemon rind. 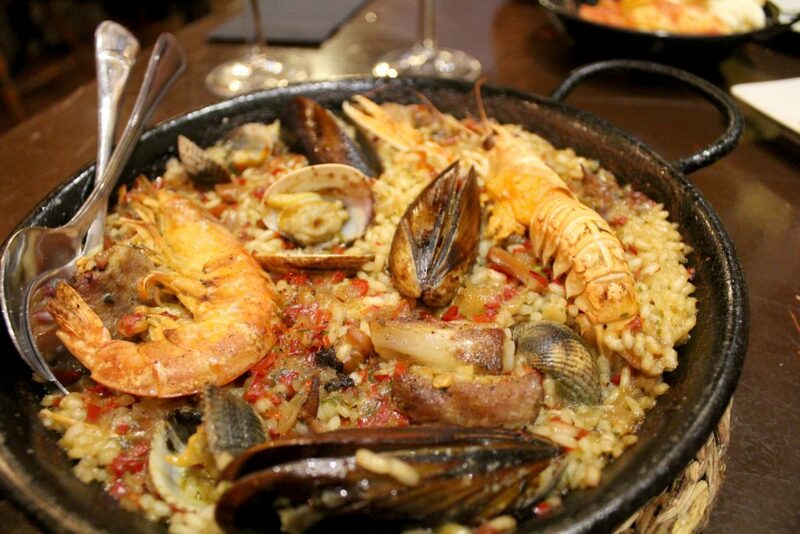 In case you are not a seafood fan but would like to try a paella, this place serves very good chicken paellas. 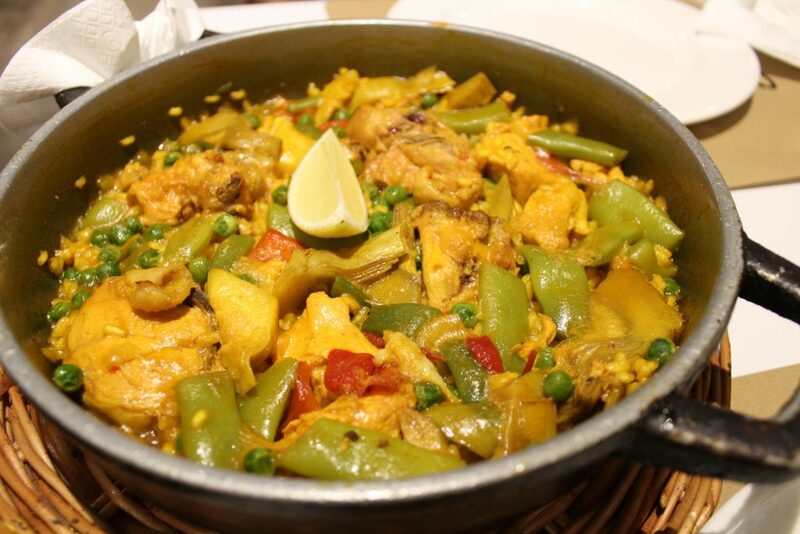 Chicken paella – chicken, artichokes, peas, and green beans. A quick stop for a coffee and some Spanish desserts.